According to new research published in the journal Neurology, people with high-stress jobs have a higher risk of stroke compared to people in low-stress jobs. Over the past two decades, research has indicated that high-strain jobs increase the risk of cardiovascular disease; however, the effect of work pressure on stroke hasn’t been as clear. For the study, researchers from China’s Southern Medical University in Guangzhou analyzed six previous studies that connected job stress with stroke. The studies included a total of 138,782 participants who were followed between three and 17 years. The team categorized jobs into four categories. Categories were based on such factors as job demands (i.e. time pressure and coordination burdens), psychological demands of the job, and how hard the workers worked. Researchers discovered that people with high-stress jobs had a 22% higher risk of experiencing any kind of stroke and a 58% greater chance of having an ischemic stroke, compared to people with low-stress jobs. Women who had high-stress jobs had a 33% higher risk of having a stroke compared to women with low-stress jobs. Those who had passive or active jobs did not see an increased risk of having a stroke. Researchers concluded that 4.4% of stroke risk was caused by high-stress jobs. The number increased to 6.5% for women. Dr. Dingli Xu, the study’s co-author, explains that high stress jobs may lead to other unhealthy factors. “Having a lot of job stress has been linked to heart disease, but studies on job stress and stroke have shown inconsistent results. It’s possible that high-stress jobs lead to more unhealthy behaviors, such as poor eating habits, smoking and a lack of exercise,” says Xu. Still, study results revealed that individuals with high-stress jobs and who led healthy lifestyles had a 25% higher risk of stroke compared to those in low-stress jobs. To make high-stress jobs less stressful, the team would like to see interventions aimed to increase job control and provide more flexibility in job structure, such as telecommuting. 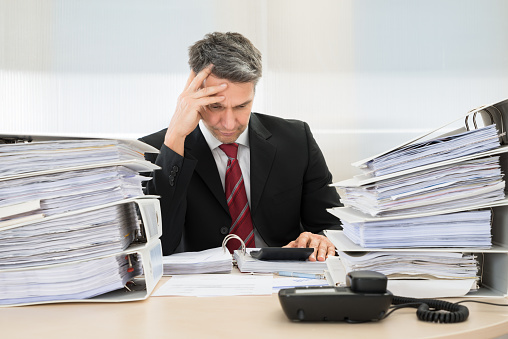 Brazier, Y., “Work stress linked to greater risk of stroke,” Medical News Today web site, October 15, 2015; http://www.medicalnewstoday.com/articles/301000.php. Yuli, H. et al., “Association between job strain and risk of incident stroke,” Neurology, 2015; doi: 10.1212/WNL.0000000000002098.